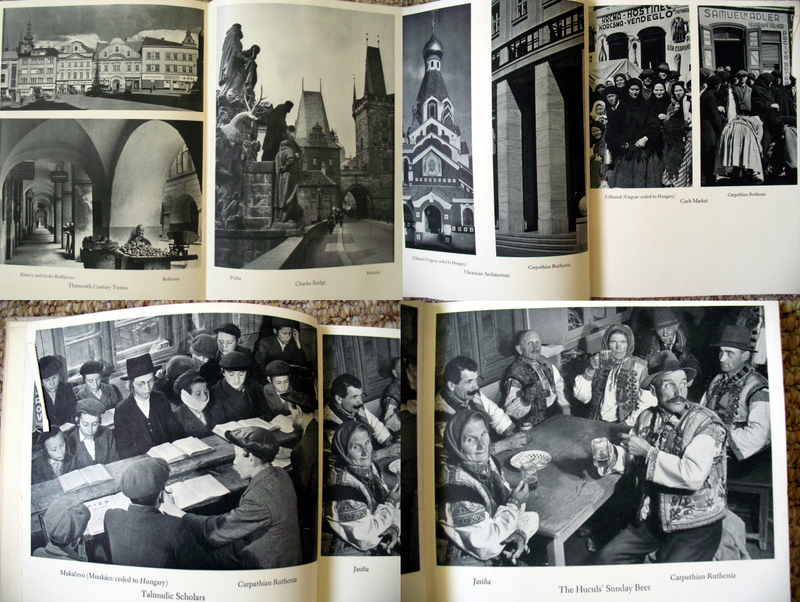 Following the annexation of Austria within Hitler’s murderous realm, Czechoslovakia was next to fall. Pro-Nazi groups within the ethnic German population were vocal in claims about suffering at the hands of the Czechs which provided a pretext to justify the annexation of certain border regions (the Sudatenland) in 1938. Anxious to avoid confrontation with Germany, the main Western European powers compromised with Hitler and cobbled together an agreement at Munich which allowed the Germans a free hand with the areas they claimed. The following spring saw much of what has now become the Czech Republic being fully seized by Germany to become the Protectorate of Bohemia and Moravia within the Third Reich which lasted until 1945. This is the context within which this book was produced for a primarily American audience. The book itself can be regarded as a straightforward travelogue; the text consists of a series of separate chapters in which Caldwell describes his experiences and what they saw during their travels in these areas. These take the form of individual stand-alone chapters which when read together, produce an overall sense of the tension and turmoil bubbling just beneath the surface. Certainly one of the most effective passages, in my opinion, is when Caldwell recounts how a pro-Nazi German couple attacked a fellow train passenger because they suspect she is Jewish. However, in spite of occasional illuminating gems such as this, there is little depth to the text. There is no deeper analysis about the historical context and no serious attempt is made to explain the complexities of the area that were bound up with the existing economic and social structures that produced tensions between the Czech, Slovak and Hungarian populations and ethnic groups. This is to be expected really; unlike their work in the American South, neither Caldwell nor Bourke-White had any particular knowledge about this geographical region and this is compounded by having to explain the complexities to an audience who is equally ignorant. Certainly in comparison to You Have Seen Their Faces, this book does not have the emotional resonance or depth of understanding that their first collaborative publication had. Looking at how this book was described by the publisher, this lack of in-depth knowledge is explained away by explicitly positioning Caldwell as an ‘observer’ and stating that this book is neither a piece of reportage nor a political commentary. This would indicate to me that even at the time of publication the limitations of the book were realised. 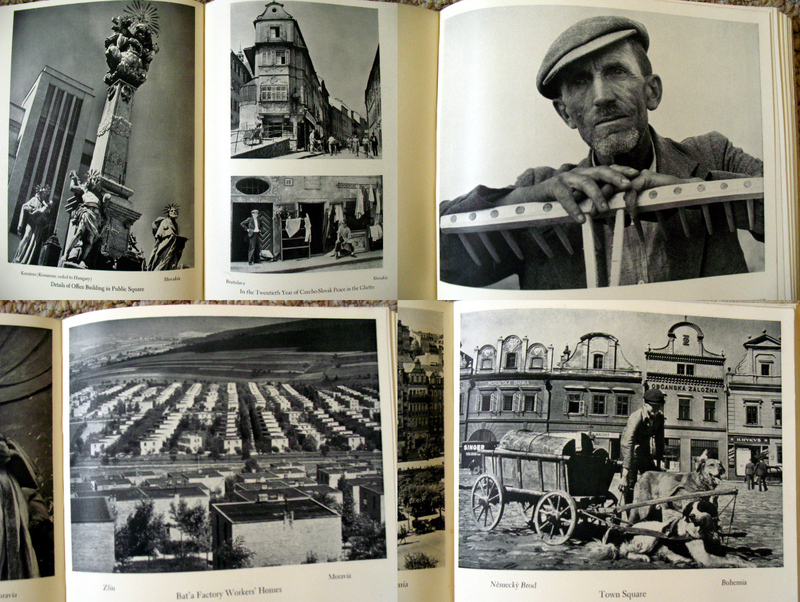 Turning to Bourke-White’s images, which are positioned as a ‘supplement’ to Caldwell’s text and appear between various chapters on specific regions and cities they visited, they too, in my opinion, suffer from a lack of engagement with the subject. They can be briefly categorised into three broad groups; Arcadian pastoral scenes peopled by peasants whose mode of dress and work appears to be something out of the middle-ages; quaint, picturesque cities whose olde-worlde foreignness is emphasised for an American audience, and the brooding Nazi presence whose appearance threatens to disrupt and destroy this apparently unchanged way of life. 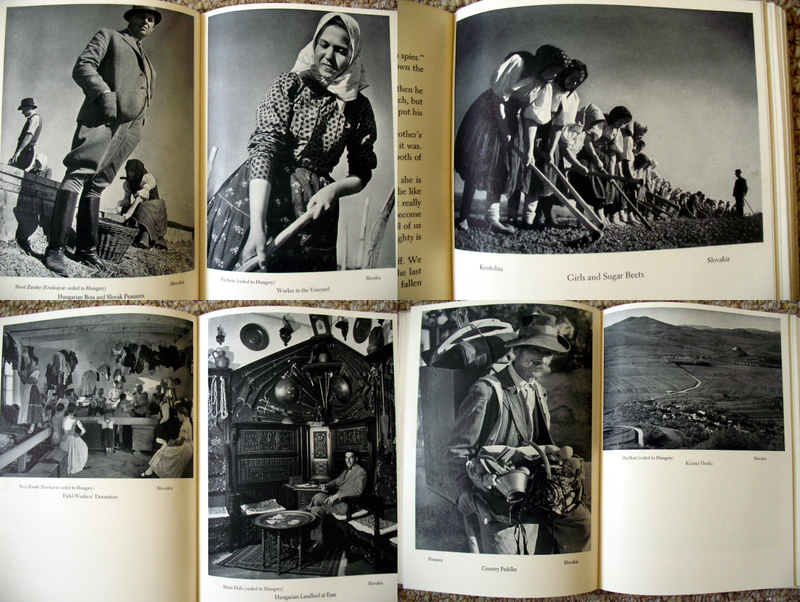 Although the Nazis are ever-present in the background, Bourke-White does not train her camera upon them; a couple of images appear within the book but her focus is primarily upon a sympathetic portrayal of rural harmony epitomised by traditional agrarian society. 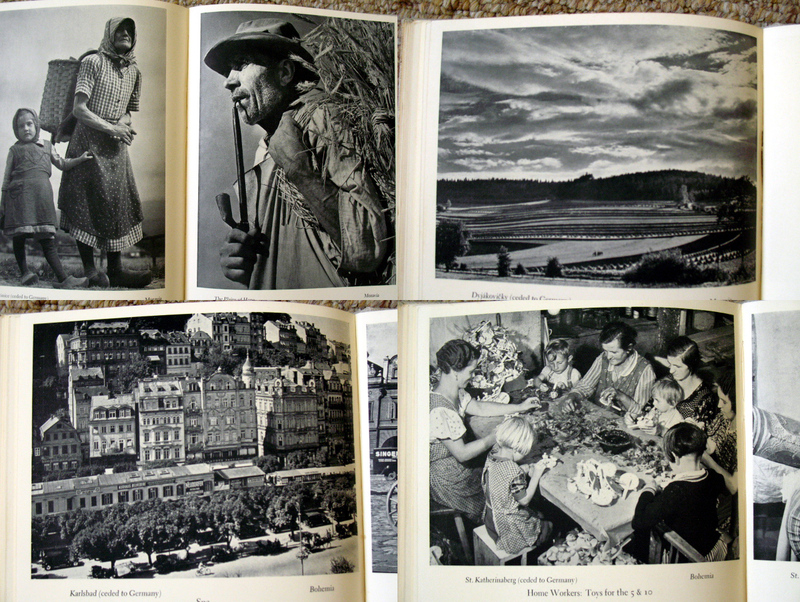 Similarly, some industrial images are present but they are downplayed in favour of photographs of agriculture. Unlike You Have Seen Their Faces, there is no serious attempt to represent poverty or the harshness of rural life and the simmering tensions between the peasant and the landlord; this economic system, unlike the American South, is not subject to any serious scrutiny. 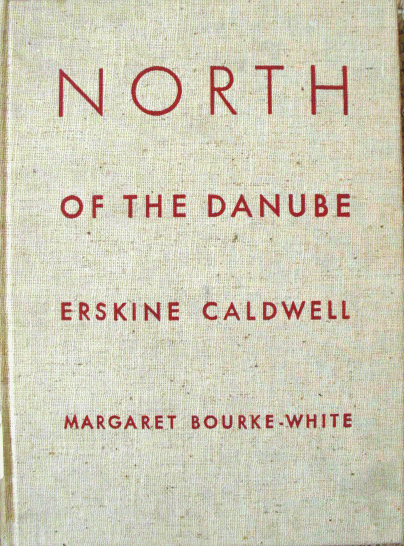 Hints are provided that all is not quite so harmonious as it appears, but clearly the priority of both Caldwell and Bourke-White was to focus on the Nazi threat rather than attempt any serious engagement with the region. The manner in which Bourke White represents the peasants of the area in many ways reflects popular American preconceptions of European ‘mother’ countries from which early immigrants came from in the nineteenth century. Time and distance transforms a backward, impoverished, rural fight for survival into a rose-tinted idealised space where traditional values and morals, lost thanks to the frantic pace of modern urban life, have somehow been preserved. In this context, the viewer is made perfectly aware that the omnipresent threat of Nazi violence will irrevocably destroy this ancient traditional culture rooted in the past. 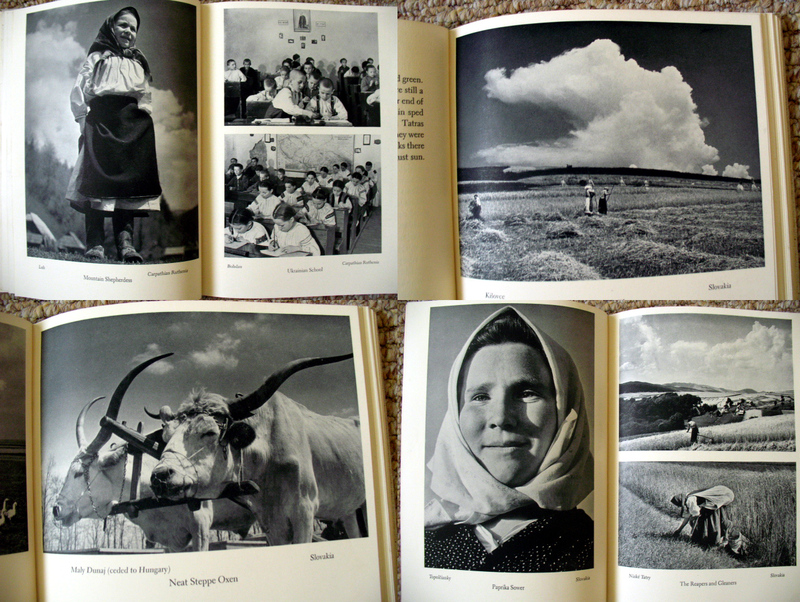 The peasants in Bourke White’s photographs may be poor but they’re happy. In contrast, the few photographs of ethnic Germans are immediately Nazi in appearance; crowds with arms raised in salute and serious looking men glaring at the camera dressed in quasi-military attire. 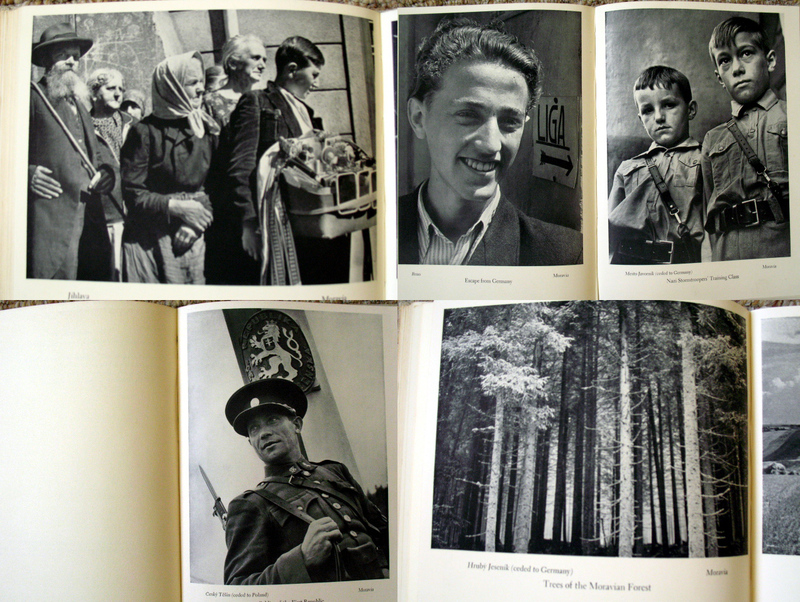 By comparison with the peasant who is represented as an inextricable part of the soil, Bourke White represents the ethnic Germans in Czechoslovakia as a violent force who are bent on racial conquest. 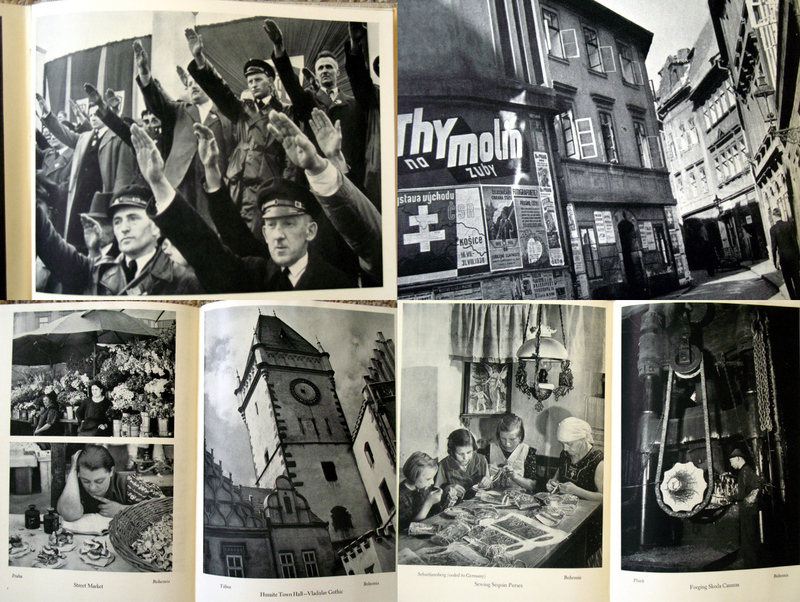 Throughout this book, Caldwell’s text and Bourke White’s images combine to produce a straightforward duality between black and white; the good Czechs versus the bad Nazis. Simplicity in this case is essential for a distant audience. Caldwell and Bourke White’s stance in this book is quite clear; the Nazis are a menacing force who threaten to destroy an traditional culture and a small nation who Americans should sympathise with and protect to a certain degree. However, North of the Danube has the feel of an instant book hurriedly put together by a successful author and a celebrity photographer in order to capitalise on hot news. 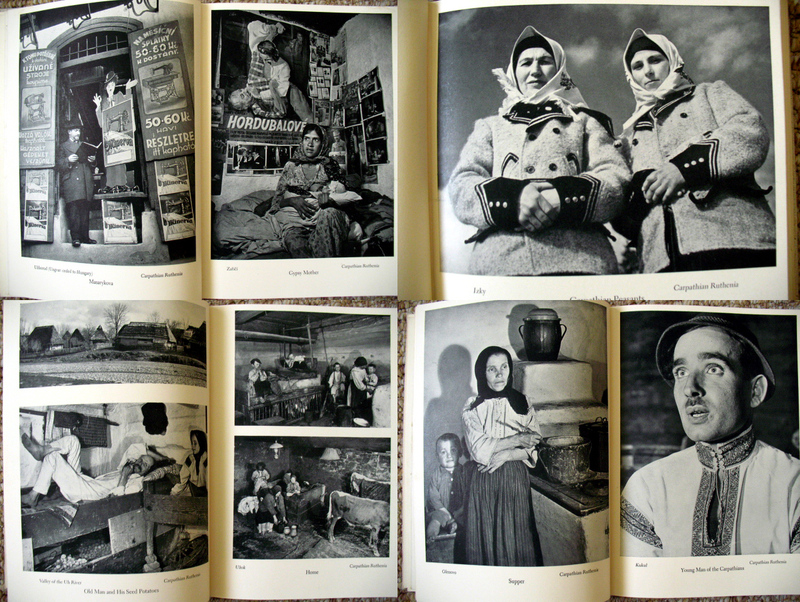 Caldwell and Bourke-White spent five months in Czechoslovakia, from the end of March to August 1938, at the same time as the crisis was reaching boiling point so it was topical. On a personal note, Bourke White complained of Caldwell’s numerous temper-tantrums throughout the time which caused her some difficulties in making photos. In my opinion, this lack of serious engagement with the subject matter comes through in both the text and images.